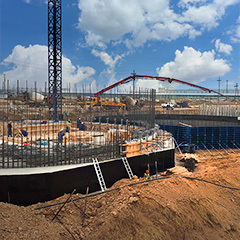 Our unique experience, own development and advanced technologies help optimize your production capacity and reduce energy consumption. 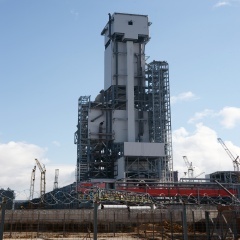 Modern technologies for the production of lightweight refractories, ultra-low-cement concrete mixes and cement-free ceramic-concrete complex products. 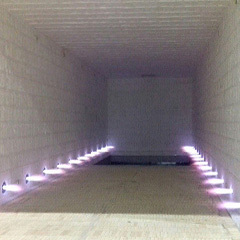 Engineering, manufacture and turnkey supply of new thermal equipment. Modernization of operating lines. 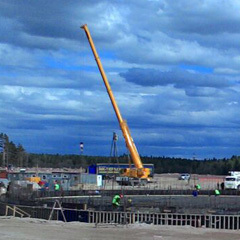 The company is a member of SRO "Montazhteplospetsstroy" - the largest one in the field of specialized constructioning. "NK-Teplokhimmontazh" is a multi-profile holding uniting four companies. 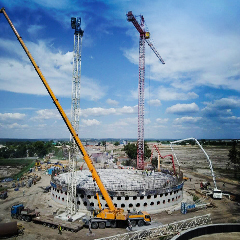 We specialize in such activities as industrial construction, the production of refractory materials, lining of thermal aggregates, the erection of high-rise concrete structures by the method of sliding formwork, the design, manufacture and reconstruction of industrial furnances. 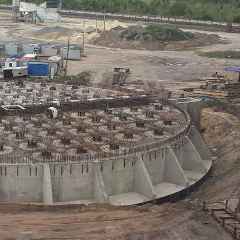 JSC “Teplokhimontazh” with its own forces is building a dry dock No.1 and a bund No. 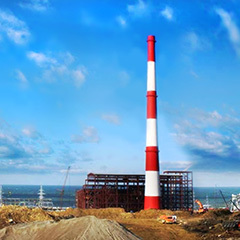 1 at the construction site: “The center for the construction of large-tonnage offshore structures (CSKMS). 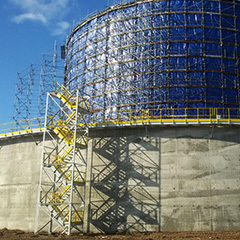 Complex for making gravity based structures and integration of topside modules”. Belokamenka rural locality, Murmansk region. 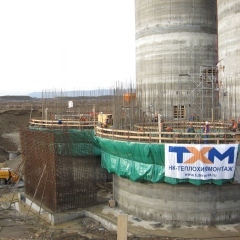 Customer: NOVATEK-Murmansk. Object: Taishet aluminum plant. Alumina warehouse # 1, # 2. 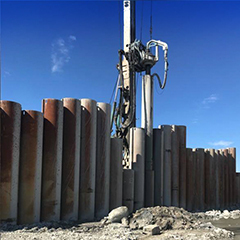 Terms of construction: 11.06.18 to 30.11.18 Completed work: Massive foundations. 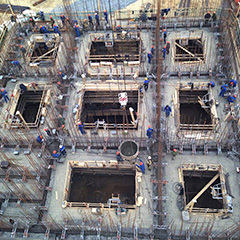 Concreting walls in sliding formwork. Customer: OK RUSAL. 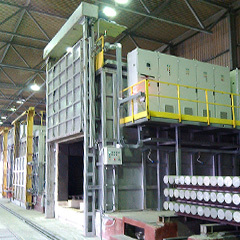 Quenching and tempering line for heat treatment (hardening and subsequent tempering) of cast parts of the auto-coupling device in automatic mode. 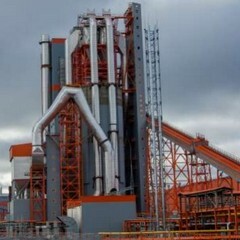 «’Tyazhmash’ Plant» JSC , Tikhvin, Leningrad region, the Russian Federation. Year of manufacture: 2016. 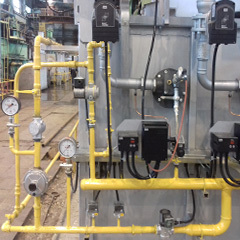 The complex of furnaces, intended for hardening and aging of products from aluminum alloys up to 400/650 ° С. 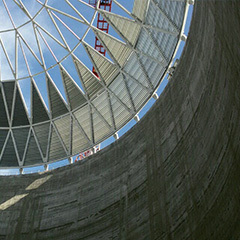 “VolgaStalProekt” LLC, Nizhny Novgorod, the Russian Federation. Year of manufacture: 2017. 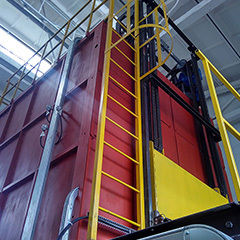 Chamber furnace with a rolling hearth, designed for heat treatment of products up to 1100 ° C. “Liskimontazhkonstruktsiya” JSC, Liski, Voronezh region, the Russian Federation. Year of manufacture: 2016. 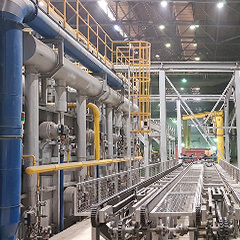 Technical supervision over the performance of refractory works at the following facilities of the cement plant LLC “Tulacement”: heat exchanger, clinker refrigerator, burner furnace, slag drier. 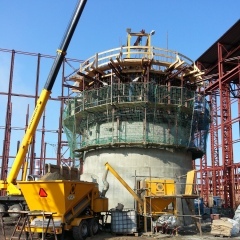 Construction of tunnel kiln under the “Inkeram” project, including supply of materials, design and delivery of trolleys for the project of “NK-Teplokhimontazh”. 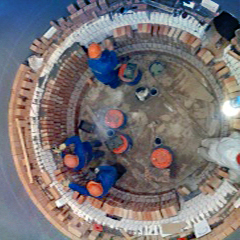 Homogenization furnace chamber with a stationary hearth, heating to 650 ° C. “SUAL” OJSC, Taganrog, Rostov region, the Russian Federation. Year of release: 2015. 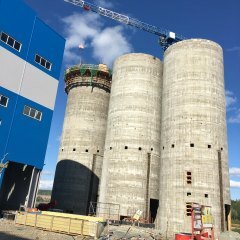 Lining and insulation work for a new cement production line with a capacity of 6,000 tons of clinker per day. 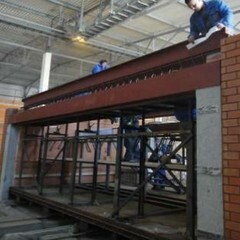 Development of design documentation and installation of a sheet heating furnace in the extension of welding shop No.4. 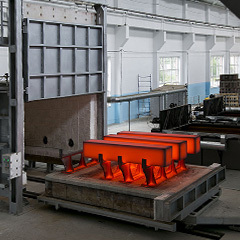 A set of single-chamber and double-chamber furnaces with a stationary hearth for heating under forging and stamping of products up to 1200 ° С. 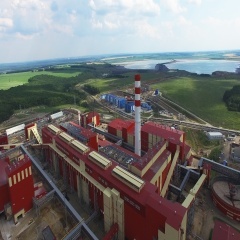 «NPO Energomash named after academician V.P. Glushko» JSC , Khimki, Moscow Region, the Russian Federation. Year of release: 2016. 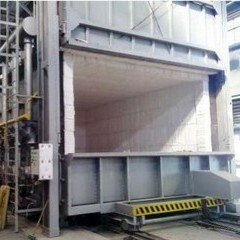 Chamber furnace with a rolling hearth, designed for heat treatment of products up to 1150 ° C. “VolgaStalProekt” LLC, Nizhny Novgorod, the Russian Federation. Year of manufacture: 2015.